One alphabet book cannot tell everything about Quesnel Lake. The references below include information about the photographer and links to sites with more information about Quesnel Lake. Geoff Moore grew up in the Central Interior of British Columbia. He made the most of the good things the area had to offer. He has played hockey, ridden moto-cross, competed in motorcycle ice racing and racing, and flown commercially. Now he makes photos and goes fly fishing. 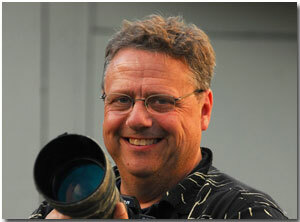 He lives in Williams Lake and works in travel media relations and photography. The Cariboo Region of BC is beautiful that he falls in love with the area over and over. So what can you share about Quesnel Lake? Do you have a photo of Quesnel Lake? A story about a time you were there? An interesting fact about Quesnel Lake or the area that would amaze others? Enter Your Title. Include the words "Quesnel Lake" if you can.